First Month Opening Special 3 nights for the price of 2. We are close to the city, beautiful parks, and great restaurants. Our home provides a comfortable quiet haven, in a leafy Adelaide suburb. The close proximity of bus stops provides easy access to tourist sites, and the many events and festivals that Adelaide has to offer as we are located 15 minutes from the city, and 30 minutes from the airport. This home is ideal for singles or couples. Our house provides suitable accommodation for holiday or work travel. You will have privacy and full use of our home. 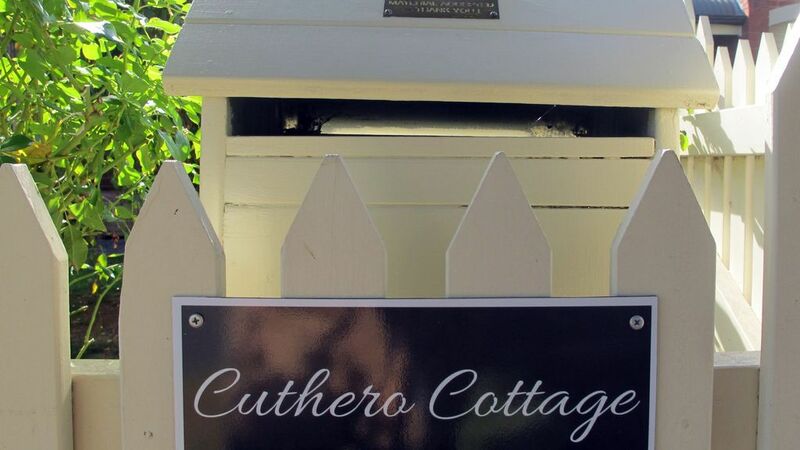 Cuthero Cottage contains 2 bedrooms, 2.5 bathrooms, a laundry, full kitchen, two living spaces and a dining room. We also have a lovely back garden and outdoor furniture for you to use while enjoying cooked meals on our BBQ. You have full use of all areas of our home, one room is locked for our use when unoccupied. There is a locked garage and one car park in the driveway. We are only a phone call away, our sons will also be available to help if you need anything. Phone numbers will be provided. We will stay at our farm whilst you are in residence, but often come to the city for activities and appointments, we are only 50 minutes away. We live in a well established residential area of Adelaide, leafy trees, pretty homes, with beautiful gardens, there are numerous parks in the district. There is plenty of street parking. We are close to buses, which run every 10 minutes to the city. This is a quiet residential area, with friendly neighbours.